Travis Lulay was under heat all game long from the Montreal defence. 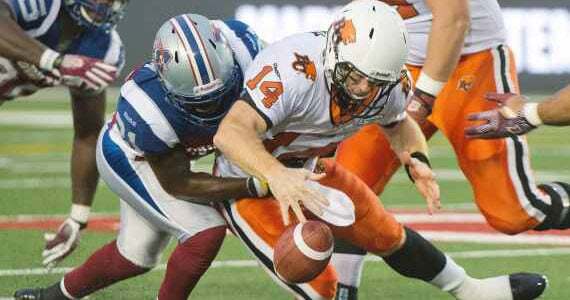 (Photo Vancouver Sun)The BC Lions had all facets of their game fail them in a last second 39-38 loss to the Montreal Alouettes. Pick your poison the Lions found a way to drink it. As a fan, frustration best describes this game for me, and here’s how I saw it, from the couch.